Attached you will find a Survey Monkey to help us in planning for the 2019-2020 school year here at Steller. Please take the time to fill out this survey for each of your students that are currently attending Steller. This survey does not apply to students that will be graduating this year. This survey is very crucial for our upcoming lottery at the end of this week so we can ensure that we get the number of students we need here. 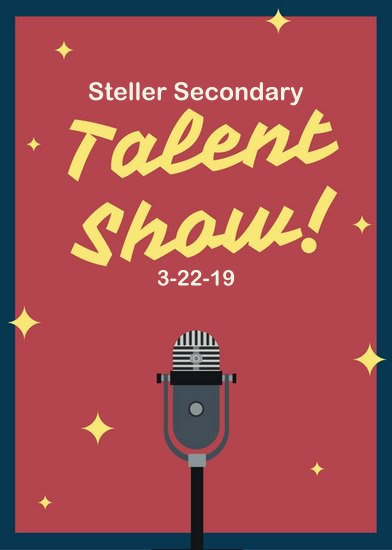 Talent show this Friday at 6:30 in the Steller M.P.R. This is a great event for the whole family! Please come see the extremely talented students at Steller Secondary. Bringing a refreshment or a desert is strongly encouraged. Tickets will be sold at the door for $5 per person or $15 for a family of four or more. If you bringing a refreshment or desert you will get one free ticket or $5 off the family pass. All funds raised will go to Steller Op group. The Steller Parent Group held a regular meeting on Tuesday, February 12 at 6:00 PM. The meeting minutes have been prepared and posted. Click here to download the draft minutes. Come watch the very talented students at Steller perform this Friday! We will have many acts including singing, dancing, instrumental covers, and theater acts. This is a great event for families so please come. Bringing a refreshment or desert is encouraged. The prices for the show are $5 per person or $15 per a family of 4 or more. If you bring refreshments or a desert you get one free ticket or $5 off of the family pass. 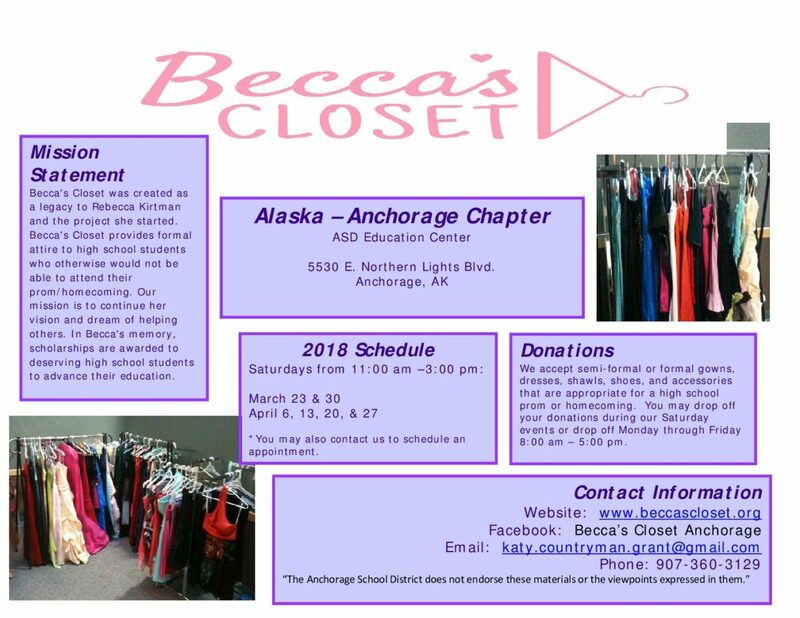 This is a fundraiser for Op group. In addition to washing your hands, covering your cough, and staying home from work or school when sick, getting your annual flu shot is the best thing you can do to protect yourself and others. Influenza Information – CDC’s comprehensive website with general information on influenza transmission, symptoms, prevention, treatment and more. This report provides a weekly snapshot of seasonal flu activity in Alaska. 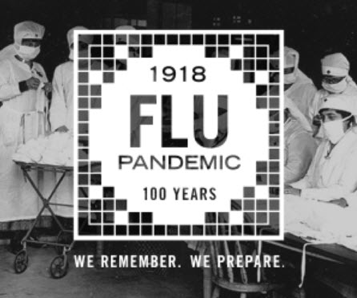 Additional information about influenza is available on the Section of Epidemiology’s (SOE) influenza page:http://dhss.alaska.gov/dph/Epi/id/Pages/influenza/fluinfo.aspx. A detailed review of CDC influenza surveillance indicators is available at: http://www.cdc.gov/flu/weekly/overview.htm. 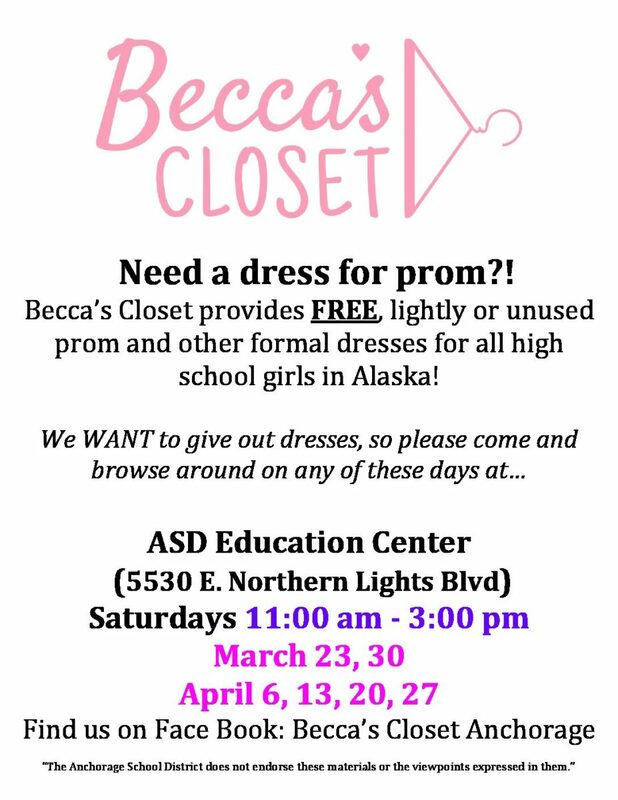 Please call 907-269-8000 with questions. Information about the Alaska State Virology Lab influenza microbiology is available at http://dhss.alaska.gov/dph/Labs/Pages/asvl.aspx. Want to show the school your talent? Come to Steller talent show tryouts! Tryouts will be held Feb 21 after school from 2:05-3:15 and Feb 22 at lunch as well as after school from 2:05-3:15. Melatonin – Is It Used Correctly?